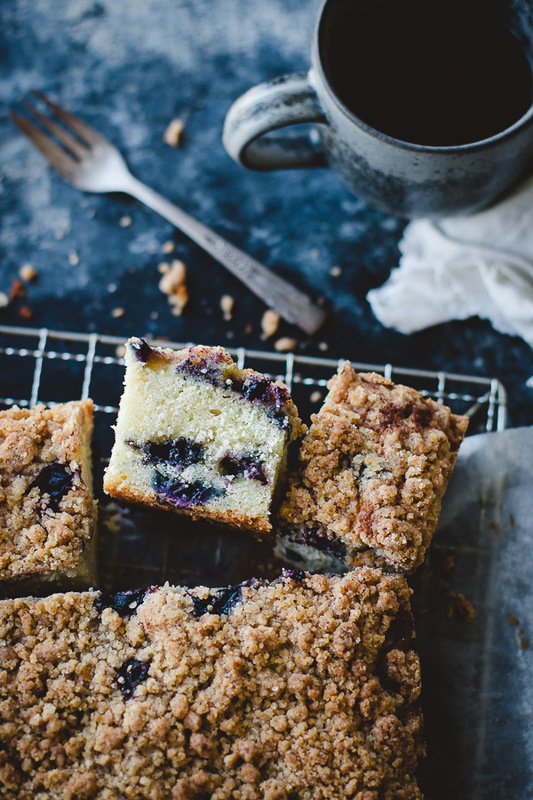 Blueberry Crumb Cake - Pretty. Simple. Sweet. 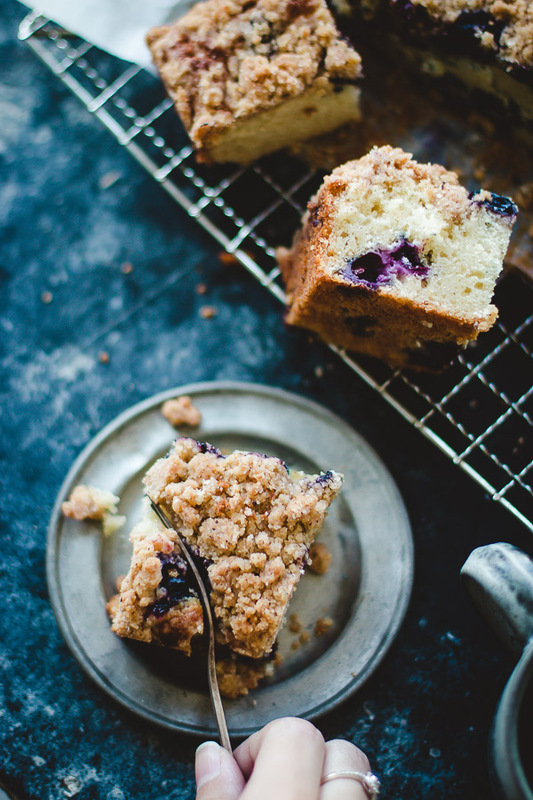 Moist and fluffy blueberry cake topped with a crunchy crumb topping. Crumb cakes have become more and more popular at our family occasions, mostly because I really like crumb cakes and because I usually make the cakes. I don’t hear any complaints though. 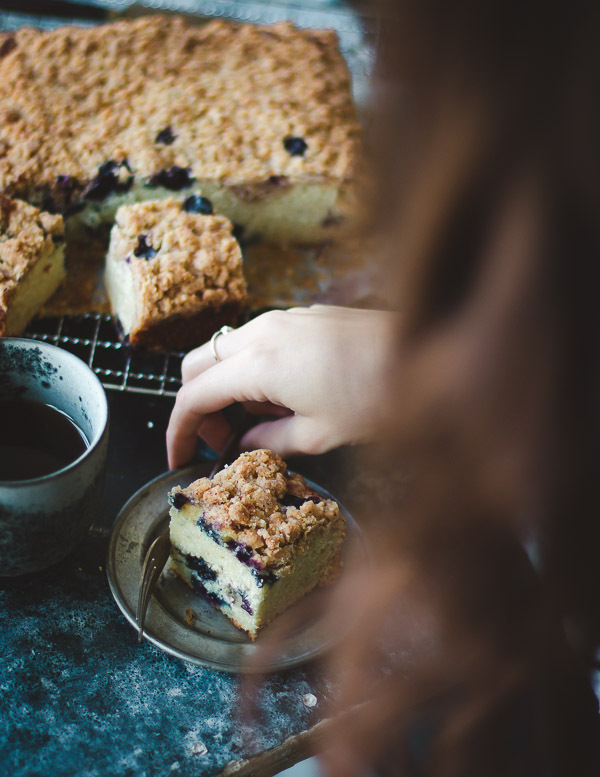 I used this coffee cake recipe for a long time until I realized that adding fruit to crumb cakes make them even better—especially blueberries if you ask me (or try this amazing one with plums and ginger). 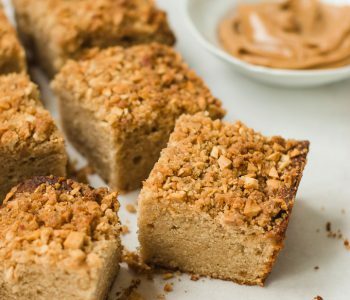 The real reason behind my love for these cakes is the streusel, and I also go quite heavy on it. This simple cake is perfect for snacking or brunch events. 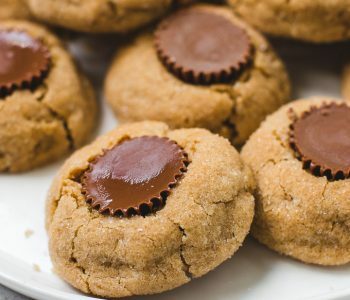 I made one yesterday and had friends coming and going all day long, so by the end of the day I realized that, not surprisingly, there was no sign of any crumbs left. Well, except for the ones left all over my floor. A few tips! 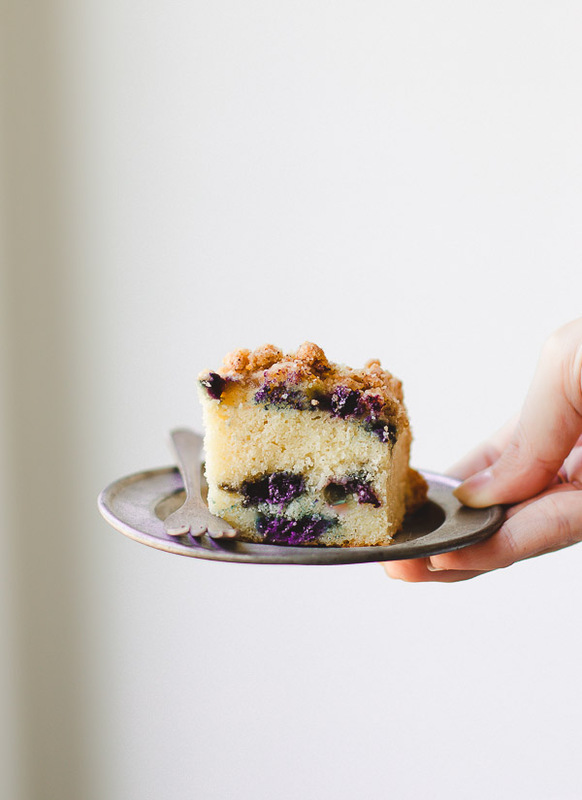 Start with making the streusel and keep it in the fridge while you prepare the cake. Break up any large crumbs with your fingers, but leave a few big ones if you like. It may look like there are a lot of crumbs, but trust me, it’s the perfect amount so don’t be afraid to use them all. Remember to toss the blueberries with some flour, which will help in preventing them from sinking to the bottom while baking. You’ll find all of this info in the recipe as well. The cake keeps well for several days in the fridge, but I like to serve it at room temperature, which gives it the best texture. Preheat oven to 350F/180C degrees. Grease a 9-inch square pan. Set aside. 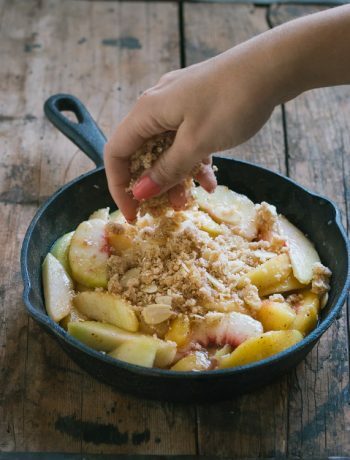 To make the streusel: In a medium bowl, whisk together flour, granulated sugar, brown sugar, cinnamon, and salt. Add the melted butter and mix with a fork or your fingertips until the mixture is uniformly moistened and crumbs form. Place in the fridge while you prepare the cake. To make the cake: In a small bowl toss blueberries with 2 teaspoons flour. 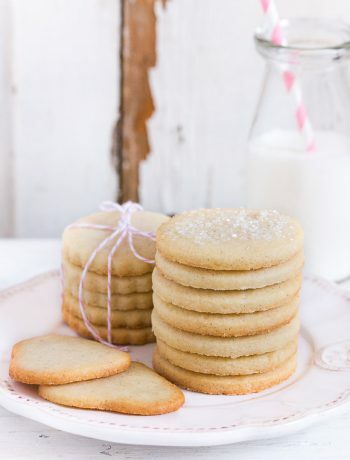 This helps prevent them from sinking to the bottom while baking. In another medium bowl place the rest of the flour, baking powder, baking soda, and salt. Set bowls aside. In a mixer bowl fitted with the paddle attachment, beat butter and sugar on medium speed for about 3 minutes, until light and fluffy. Beat in eggs, one at a time, until combined. Scrape down the sides and bottom of the bowl as necessary. Beat in vanilla extract. On low speed, beat in the flour mixture in 3 additions, alternating with the sour cream in 2 additions, starting and ending with the flour. Be careful not to overmix. Gently fold in blueberries. Scrape batter into the prepared pan and smooth the top. Sprinkle streusel mixture evenly over the batter. It may look like a lot of crumbs, but that’s ok, use them all. Bake the cake for 40 minutes or until a toothpick inserted into the center comes out clean. Transfer pan to a wire rack and allow to cool completely. Store cake in the fridge, covered well, for up to 5 days. Serve at room temperature. Hi Fatima. 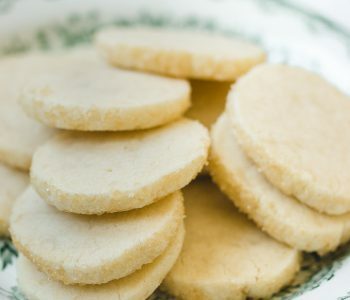 For a fluffy and light cake it’s important to cream the butter and sugar for several minutes before adding the eggs, and mix the batter as little as possible once you add the dry ingredients. Hi Shiran I made this yesterday it was lovely, the only issues I had was the blueberries! Despite tossing them in flour they still sank to the bottom of the cake! That happens sometimes, but I hope the cake was delicious! I made this with coconut oil instead of butter and used frozen blueberries. Mixed everything by hand too! My husband and I had two pieces each while it was still warm from the oven. So delicious! Thanks Shiran! Hi Kirsty, this can happen if the batter isn’t thick enough, or if the crumbs are too heavy. Sour cream is the best option, so I highly recommend it, but yogurt is fine too. 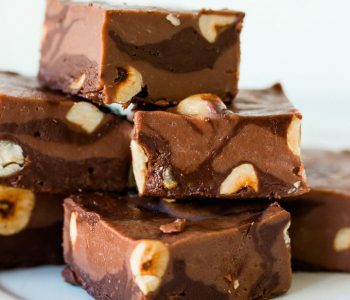 Made this multiple times already, and it’s always a hit! I also tried using blueberries as well as raspberries and they’re both absolutely delicious. 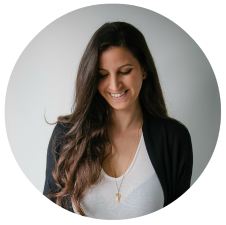 Thank you for your amazing and simple recipes Shiran! Thank you so much, Miri! Love the recipe! However, because I don’t have fresh blueberries, I used frozen. I don’t know if that is the reason but I constantly keep getting these gluey streaks in the cake, and it becomes dense in some areas…I’ve made the recipe two times and they both turned out like that. Could it be because of the blueberries or am I doing something else wrong? 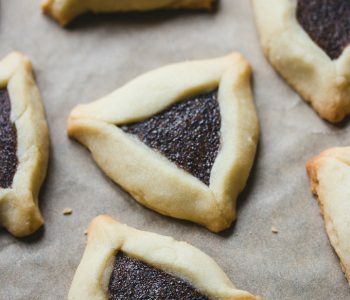 I best in flour on low speed until combined too…please help! Hi Rachel, that’s definitely the reason! It doesn’t happen with fresh blueberries. 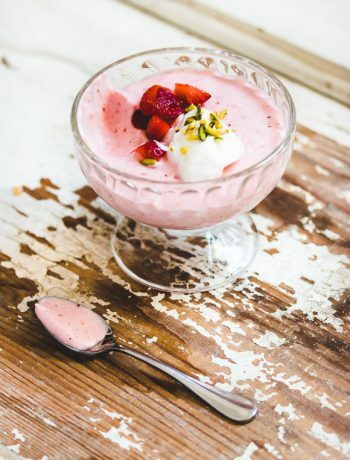 Sometimes it’s hard to avoid it but this can help: coat the berries with a bit of flour or sugar before adding them to the batter, and don’t defrost the berries, just use them frozen.